Jack Reacher: Never Go Back is both the title of the new Tom Cruise film, and could also work as the punchline for this review. Because frankly it’s an underwhelming action movie that lacks the suspense and the high-adrenalin thrills that have come to characterize the Top Gun star’s favorite genre. There are stray moments in the film that remind you just why he’s still such a magnetic movie star, but this film does little to add to his wattage.I’m going with two out of five. 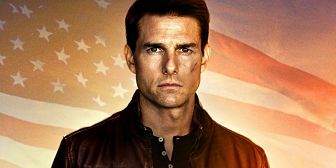 Tom Cruise’s second film in the series based on the popular books by Lee Child is more engaging than the previous one. It lends an emotional touch to what you expect from a standard action-crime caper. The film is replete with hard-hitting fistfights, lots of running around, quick chase sequences, ample gunshots, cheeky one-liners, and a plot laced with suspense and a father-daughter side story. In totality, it ticks all the genre-specific traits that you anticipate from it. To cut to the chase, this crime thriller mostly works for its engaging plot and edge-of-the-seat action instead of its star power. However, if you are a massive Tom Cruise fan, do watch the film for that one scene towards the end, where he gives you glimpses of his ‘Top Gun’ days. That’s pure joy. The thrilling elements are few and far between. The action sequences are staid and routine, except for a few gruesome bone-breaking acts which take place in abandoned warehouses and the regular empty wharfs that make up a mediocre film’s universe. One of the action sequences also takes place in the backdrop of a Halloween parade. Technically, with good production values, the film is well-mounted and would appeal to Tom Cruise’s fans, as it desperately attempts to replicate a franchise. Jack Reacher Never go Back needed to justify the existence of a sequel, and in the hands of director Edward Zwick it seemed like an interesting prospect. Unfortunately the film is a generic B-movie, without much charm or grace, or even a story that you will find fascinating. The easiest thing to say about this film is to take a dig at its name ‘Never Go Back’, but it really is a reminder for audiences to not trust in cash grab sequels. Ice and warmth even each other out. Jack Reacher: Never Go Back trundles along on the comfort of knowing that America, and Hollywood, is safe as long as Tom Cruise is around. For Cruise fans, the movie is a dress rehearsal for the next Mission: Impossible installment (expected in 2018), while the rest can expect a timepasser with some bone-crunching action and chase sequences and a villain who more than earns his pay cheque. the viewer anticipates an engrossing narrative that will capture their attention, but here again the film lags. In fact the overall narration seems hastened with the story seeming like any run of the mill action flicks. 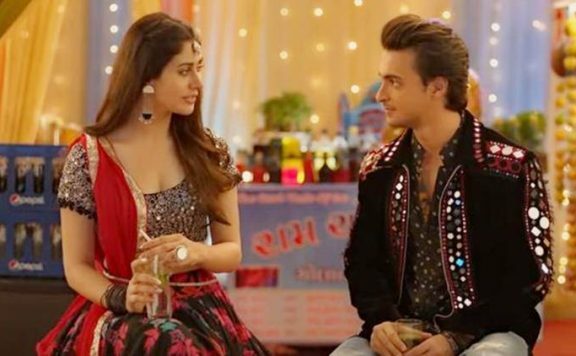 However, the dialogues though which are a hit and miss series, do inject a bit of humour into the on screen proceedings, but again do not make up for much. On the whole, JACK REACHER: NEVER GO BACK does not offer anything new. It’s a slow paced film that fails to give the adrenaline rush that is expected from a Tom Cruise starrer. Set four years after the events of the first film, Jack Reacher is returning to the headquarters of his old military unit. He comes to meet Major Susan Turner who he has been working with him on solving cases across the country. Upon his arrival, he is informed that Turner is accused of espionage.